Colorado Parks and Wildlife is inviting anglers of all ages, novice or expert, to begin planning now for the Elkhead Reservoir Fishing Classic, June 24-July 2. The week-long fishing tournament at Elkhead Reservoir State Park near Craig offers great fun, great fishing and big cash prizes. Any angler that catches the 2017 tagged northern pike can keep the fish and the $1500 grand prize. The same amount goes to the lucky angler that catches the tagged smallmouth bass. Other prizes include $750 for the most northern pike caught, and $750 for the most smallmouth caught. In addition, CPW will be giving away a variety of daily prizes to tournament participants. If no one catches the tagged fish, CPW will hold a drawing and lucky participants will win the cash prizes. "Bring your friends and family and fish from a boat or from shore," said Senior Aquatic Biologist Lori Martin. "Elkhead Reservoir offers great boating and fishing opportunities and if you come to catch northern pike or smallmouth bass, you might also win big money while enjoying a great park." Anyone interested in participating must register at the reservoir during the event to be eligible for prizes. Entry fees are not required. "Another fun part of catching northern pike and smallmouth bass at Elkhead Reservoir is that there are no bag and possession limits for these two species there, and at most other waters on the Western Slope," said Martin. All current state fishing and boating regulations apply. Anglers under the age of 16 can fish for free and anyone 64 and older can purchase a license for one dollar. Anglers between 16 and 63 must possess a valid license. CPW recommends purchasing a fishing license prior to arriving at Elkhead Reservoir. License sales are not available at Elkhead Reservoir. 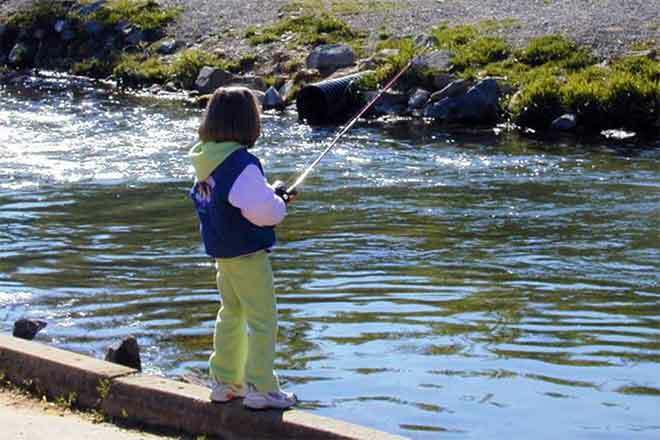 Fishing licenses can be purchased over the phone by calling 1-800-244-5613. A valid pass is required to enter the park and can be purchased at Elkhead Reservoir.